In 1984 Dell Technologies was established as prominent company in the tech industries but in 2013 Dell went private in the stock exchange due to the lack of sales. Blockbuster was opened for 32 years before being considered obsolete by online streaming services like Netflix. Just recently Toys R’ Us was also lost it hold on toy sales with the rise of Amazon. With change constantly happening, companies that were one domnimate in industries have been known to fall, more modern companies but with companies on the rise, what makes Apple so popular.? “[I don’t necessarily think Apple is running out of ideas out of ideas] because they come out with the unexpected each time,” Senior Margaret Branson said. In order for Apple to stay on top, the company has to make products that attract the consumer. So what makes people want to buy Apple Products? 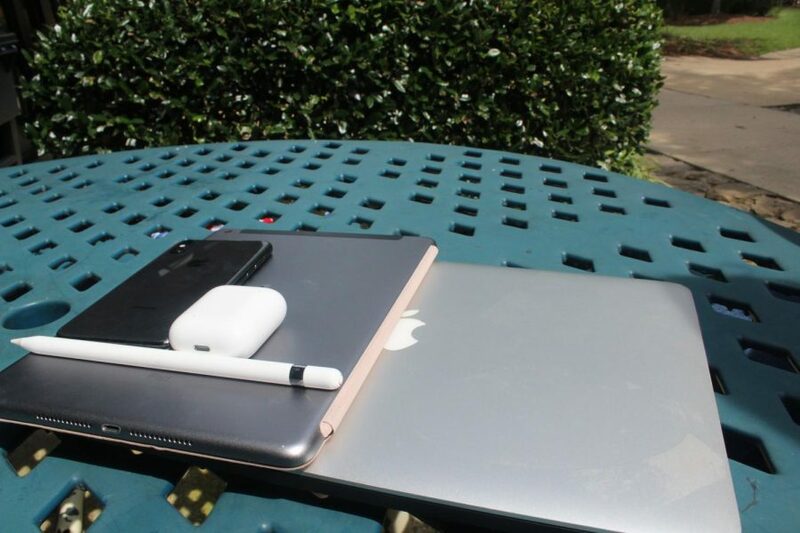 One reason people like to buy Apple products is their simplicity. Christine Moorman, from Forbes Magazine, explains that people like Apple because they “have simple, clean lines, with even simpler, self-explanatory names.” iPhones don’t have many buttons and learning to use the products doesn’t take much time. “They are so easy to use because they have helpful instructions like ‘Tips,’” Senior Kayla Jackson said. Even the Apple store is neatly organized that not crowded with shelves. Its clean, simplistic, sleek design make the environment attractive to the buyer. Majority of Apple products come in the three main colors: the classic silver, a sleek black, the newer gold and rose gold. Another factor that attracts people to the company is their marketing. According to Business Insider Apple spent 1.8 billion dollars on marketing. Part of Apple’s success comes from their annual Apple Events. Apple’s marketing is so successful that they are able to release a new phone every year and make great revenue With each new phone Apple puts out, they create new ideas that the consumers want. A new phone with new updates make customers rush to the Apple to the stores and stay up all hours of the night to order the new phone. “I like how the can all sink up with each other with the system,” Branson said. The Cloud make it possible for users to send a text on their MacBook and receive a message from the same conversion on their iPhone. Every Time a user charges their phone all the data and information on the phone is saved to the iCloud account. Without the iCloud data and memories would be harder to keep up with and pictures that were on someone’s old iPhone 5 would exist on their new iPhone XS. New innovations, marketing and designs makes Apple products thr products people want to have. As long as Apple continues to make advancement in the areas that consumers want, then Apple will always be the company that makes other companies have to step up their game.